We’ve partnered with the US National Archives and Records Administration (NARA) to help make up to 100,000 newly digitized photographs and several hundred reels of film from the WWI-era available for reuse, and have made a large number of these sources available through a Remembering WWI tablet app aimed in large part at educators and local institutions. 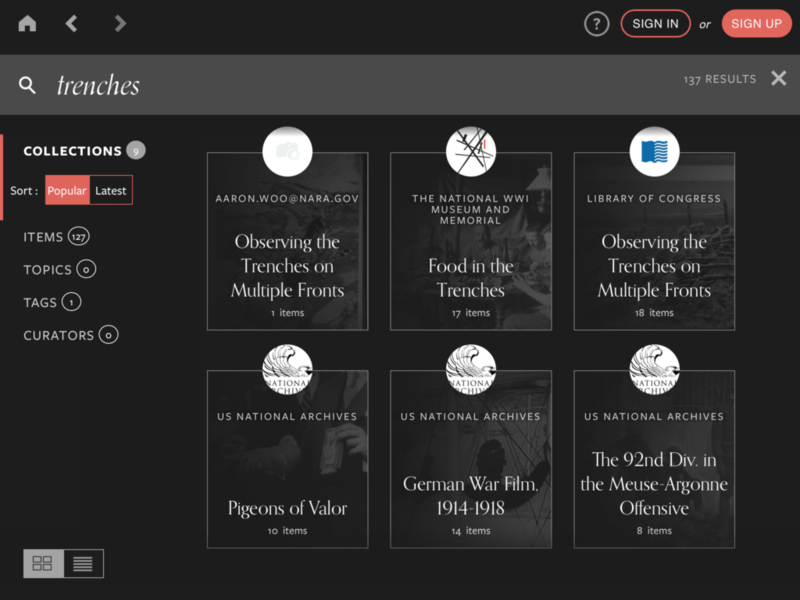 A look at NARA’s Remembering WWI app, populated through Historypin’s API. For those looking to work with cultural heritage data, we’ve taken a small portion of NARA’s WWI-era photo metadata (roughly 9,000 entries out of 100K) and re-organized it into Historypin’s bulk upload template, now on Github. As Historypin is a mapping platform, a key piece of data missing from the photographs in NARA’s Catalog are latitude-longitudes. Much of this needed information is found in the title and description information of each photo, and is thus a great data enrichment opportunity.If we can enrich the location data for some of these items, the dream is to be able to map thousands of items on Historypin. Here is what we’ve mapped so far. Example of NARA WWI photographs (and film clips!) mapped so far on Historypin. Though we have over 1000 items mapped so far, this pales in comparison to the 100K images we have the potential to map. The more NARA photographs we can map on Historypin, the more teachers and local institutions will be able to reuse these expertly-digitized primary sources with their students and in their programming. Any items mapped on Historypin are fed directly into the companion Remembering WWI tablet app via Historypin’s API. Most of the work so far has been manual, so this is great potential project for students or others who can help prepare larger swaths of the data available for mapping on our site. You can find and export the data we’ve started to enrich here. The full range of 100,000 photographs are also available for a JSON export in the National Archives’ Catalog. 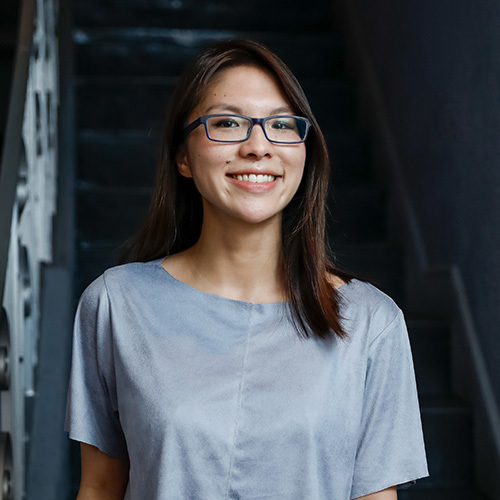 While enriching location data is a sample project we have in mind for students, the data is there for you to reuse as you’d like. 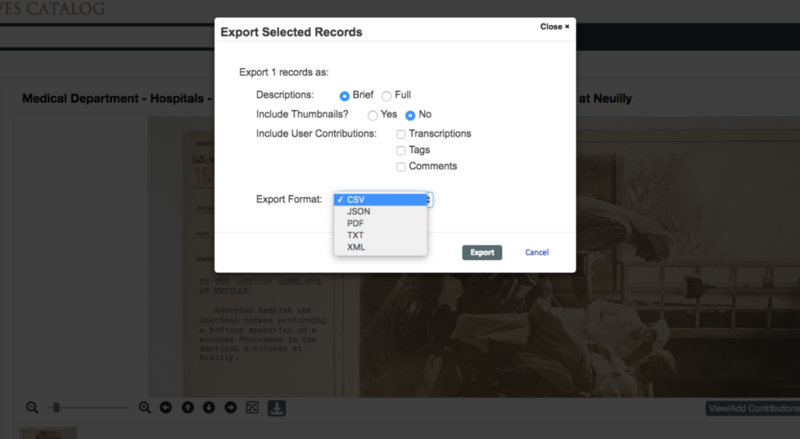 A look at the data export function in NARA’s Catalog. Note the different formats available. Again, all of this data is free and available for reuse in your local projects, so please spread the word! If you have any questions, please email me at kerri.young@historypin.org.